Clothing stains are one of the main reasons people seek the help of their drycleaner. 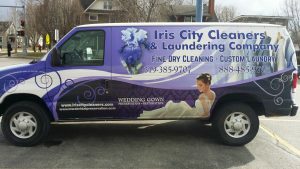 With their special solvents, equipment, training, drycleaners can remove some of the most disastrous looking stains with relative ease. 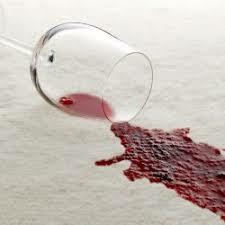 Successful stain removal depends largely on the nature of the stain, the type of fabric, and the colorfastness of the dye. Ink stains and dried paint, for example, can be impossible to remove. Also, some fabrics and dyes are not made to withstand the use of cleaning or stain removal agents. Many stains that are caused by food, oily substances or beverages may become invisible when they dry. But later on, with exposure to heat or the passage of time, a yellow or brownish stain will appear. This is caused by the oxidation or caramelization of the sugar in the staining substance. It is the same process that makes a peeled apple turn brown after exposure to air. You can help your drycleaner do a better job by pointing out such stains when you take a garment to be cleaned. The cleaner often treats these stains prior to cleaning, since the heat of drying or finishing may set the stain. When an oily substance is exposed to heat or ages in a garment for an extended time, it also oxidizes. This type of stain can be distinguished by the irregular cross pattern the oil makes when it follows the fabric fibers. Oily substances are successfully removed in drycleaning unless they are left to oxidize. Once they become yellow or brown, they become much more difficult to remove. Repeated exposure of a garment to perspiration and body oils can create a permanent yellow discoloration and an objectionable odor. In addition, perspiration can react with the dye or sizing in the fabric, making it even more difficult to remove the stain. Clothing frequently worn or heavily stained also requires frequent cleaning, especially clothes heavily soiled with perspiration. There are many substances consumers may encounter in the course of a day that can cause a color loss. In many instances, the discoloration does not appear until the item is cleaned. Alcohol - Perfumes, colognes, skin fresheners, aftershave, hair spray, lotions, medicines, and alcoholic beverages can cause a stain which appears as a white or cream center with a dark dye ring around the edges. Bleach - Home bleaches, hair care products, disinfectants, acne preparations, skin lotions, medicines, and cleaning products can cause a change or loss of color depending on the types of dyes used in the fabric. For example, blue dye can turn orange or white. Acids - Perspiration, deodorants, hair preparations, and fruit juices appear as an orange or red discoloration in areas contacted by an acid. The color change usually appears after a period of time or with exposure to heat in cleaning or pressing. Alkaline - Cleaning products, toothpaste, soap, detergents, shampoo, skin preparations, and in some cases, perspiration, may appear as a yellow, green or cream color on many fabrics. This type of color change may not appear until the stained area has aged or the item is exposed to heat in a cleaning process. Salt - Medicines, perspiration, beverages and foodstuffs, gutter splash, and salty water from the ocean or snow removal slush can result in a change in color on wool fabrics. Hair Preparations - Permanent wave or coldwave solution, or other hair care products can result in a change in color and is easily recognized by the location in the neckline, shoulder or back of a garment. Never put a garment away with spills or stains on it, The warmth of a closet and exposure to natural or artificial light and to the atmosphere can contribute to setting a stain. Bring in a stained garment as soon as possible, preferably within a few days, to prevent the stain from setting. Do not iron stained or soiled clothes; this will set stains and drive the soil deeper into the fabric. Always have soiled clothes cleaned before ironing. Do not attempt home stain removal with either water or a cleaning fluid without testing first for colorfastness. VVet an unexposed area, such as an inside seam, and blot with a paper towel to make sure the color is fast. Never rub a stain, especially when attempting to remove a stain from silk. Blot the stained area. This will help remove the staining substance without spreading the stain and will avoid damaging the fabric. 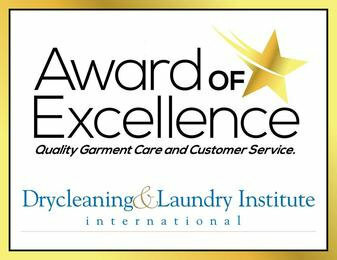 Drycleaners are responsible for attempting to remove stains in accordance with professional practice. Not all stains can be removed, despite the drycleaner's best efforts. stains are oxidized and set in the fabric. the type of dye or delicacy of the fabric can limit the degree of removal. the dye in the fabric is soluble (prone to bleed); removing the stain would also remove the dye from the fabric.